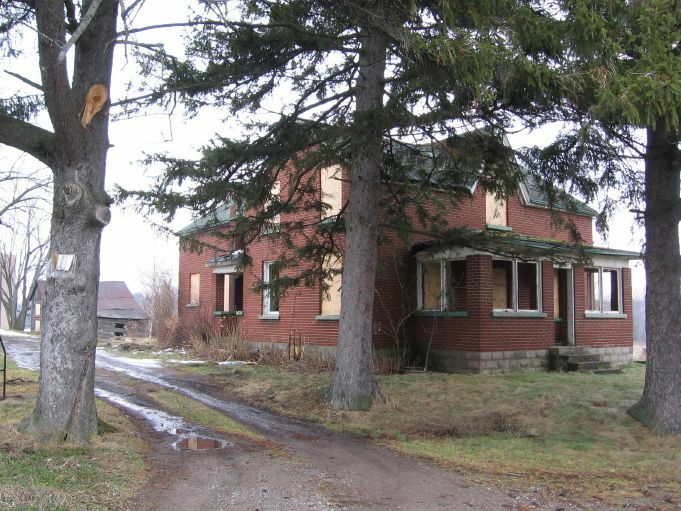 It's an old farmhouse with several delapitated farm buildings on the property. Coronation Road and Rossland Road West. I think boots, long pants and a long sleeve shirt would be a good idea. I expect that it will be torn down to be developed. This location's validation is current. It was last validated by Emperor Wang on 3/23/2007 11:21 PM. This page was generated for you in 125 milliseconds. Since June 23, 2002, a total of 574076602 pages have been generated.